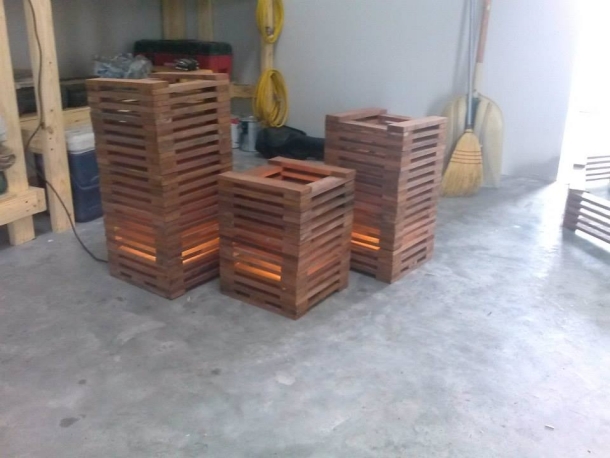 I think I am pretty satisfied with the way wood pallet is being used in multiple ways, we have used it to recycle some great furniture items that are playing their best part in our practical lives. We have used the shipping pallets for several garden décor ideas, we made certain embellishments with them. 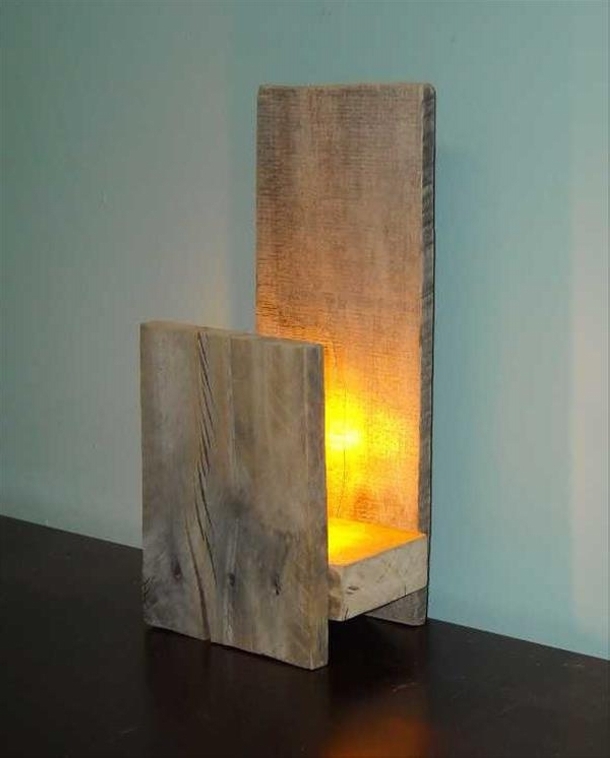 In short this is the feasible nature of pallet wood that allows us to make such great uses out of this great material. 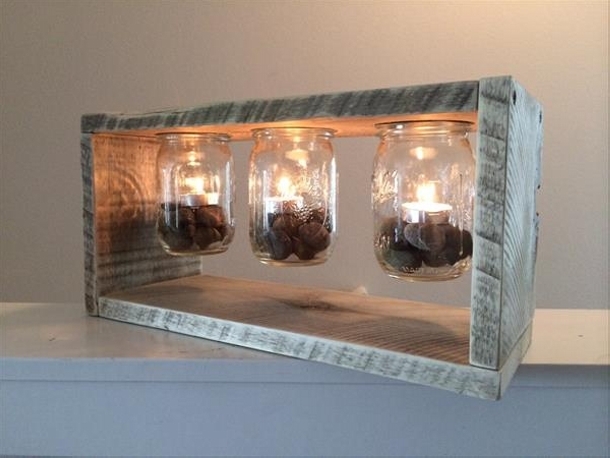 Now we have some different plans, we are going to upcycle some beautiful pallet wood light boxes, that would add a lot of beauty and attraction to your room and home interior. 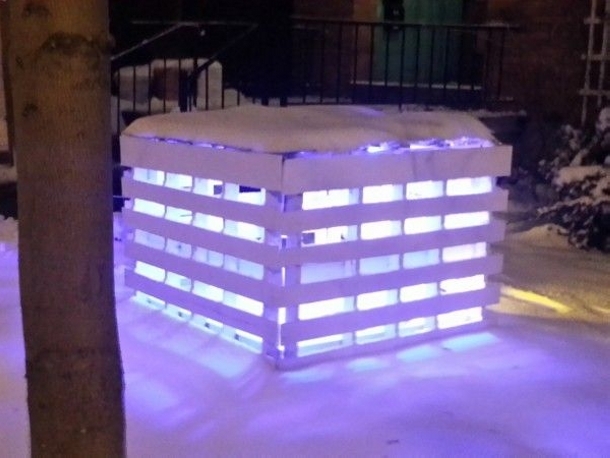 This is a great wood pallet recycled light box may be installed inside some barn which was being used as an outdoor sheltering. Just to give an artistic touch, we made this light box with pallet wood and installed a couple of Edison bulbs inside the box. Well, this one is actually a multi purposed wooden item made with some fresh pallet wood planks. 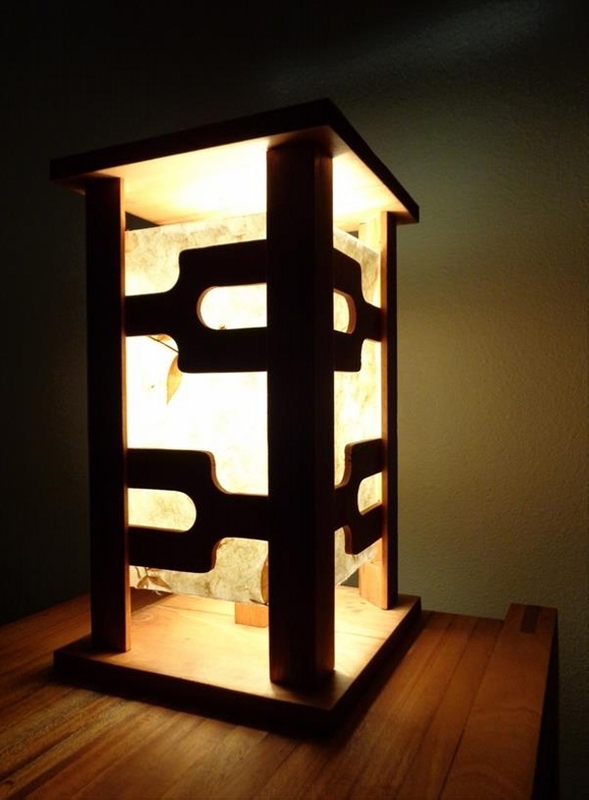 This could be used as a side table, and by installing an Edison bulb inside the table we have also turned it to be a light box. 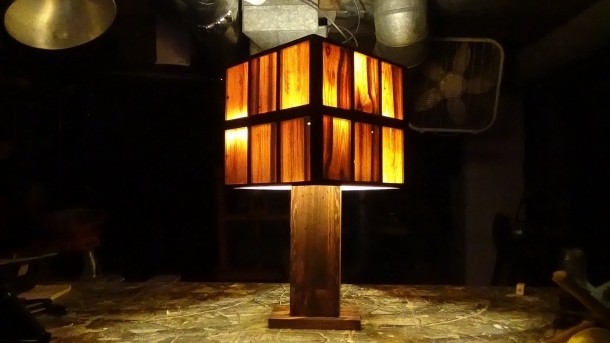 So this would also play the part of a wooden table lamp as well. You have some great embellishment plans for your outdoor space? 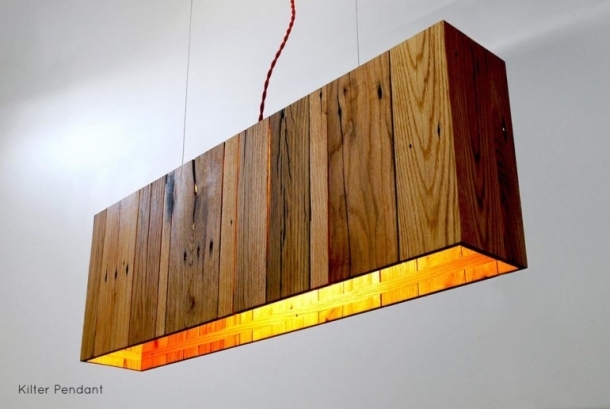 And you further want to equip it with the latest and trendy lighting installations? 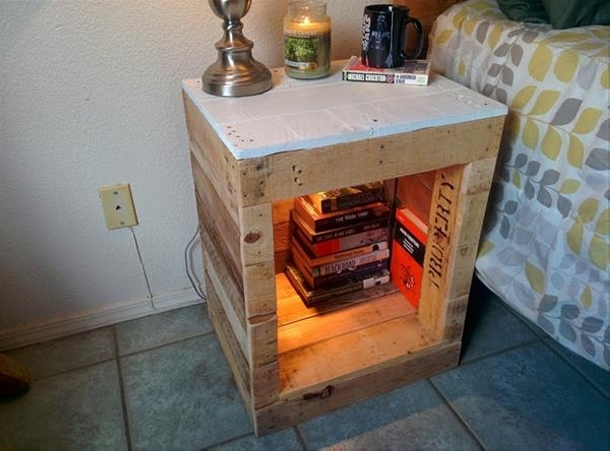 I think while staying within your budget limits, this wood pallet recycled light box would be pretty perfect. 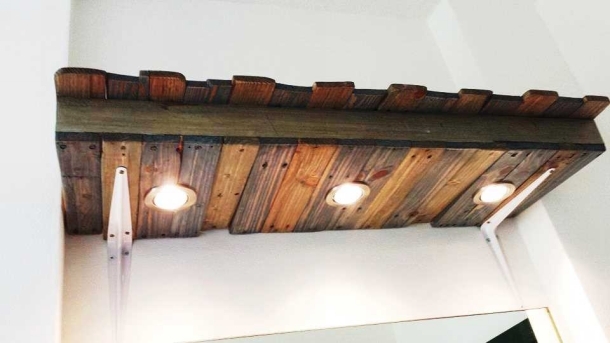 If you feel like going for some different and unique light installation for your room instead of typical glass chandeliers, this pallet wood recycled squared light box is a great idea to opt for. This would just give a royal and artistic look to your room. Now this is something rough and rustic. One might not necessarily always like some formal fixtures, sometimes you may feel like having some artistic and rustic lighting arrangement inside your room. 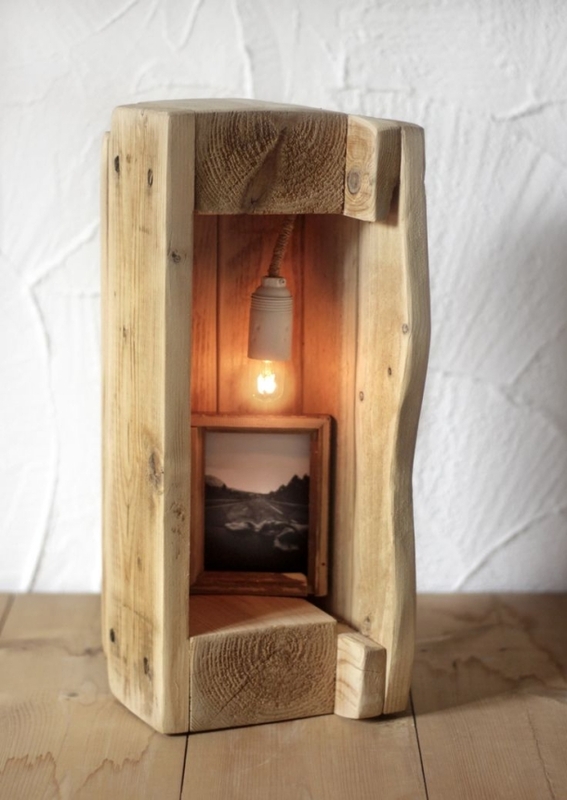 So this is the perfect time for using this rustic wood pallet recycled light box. 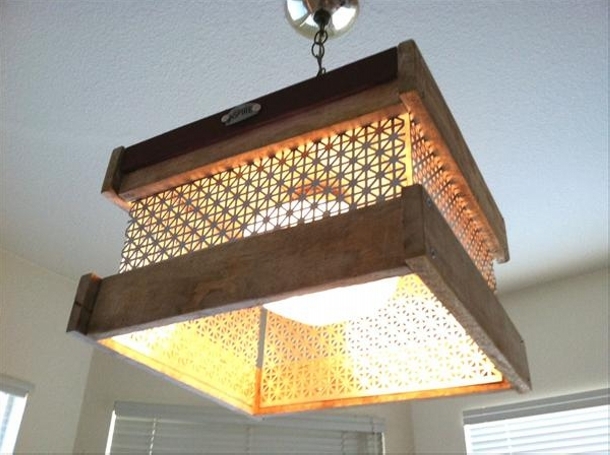 This is again a comprehensive plan for an indoor wood pallet recycled light box. Well, this one isn’t necessarily a lighting box, this is actually a wooden shutter having built in lights. We have fixed it with some firm metallic panels, just to ensure the durability and firmness of this great wooden fixture. 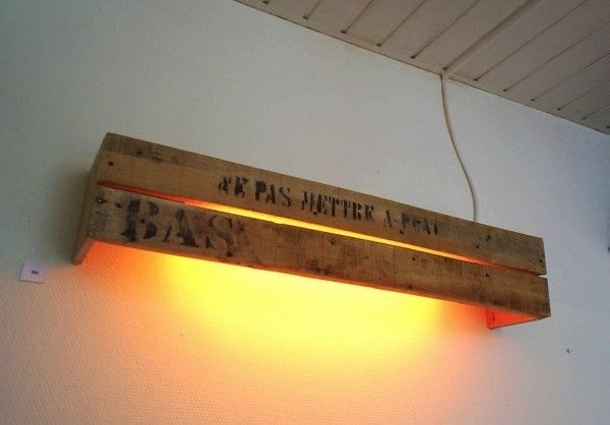 Did you actually notice the actual criteria of this wood pallet upcycled light box? 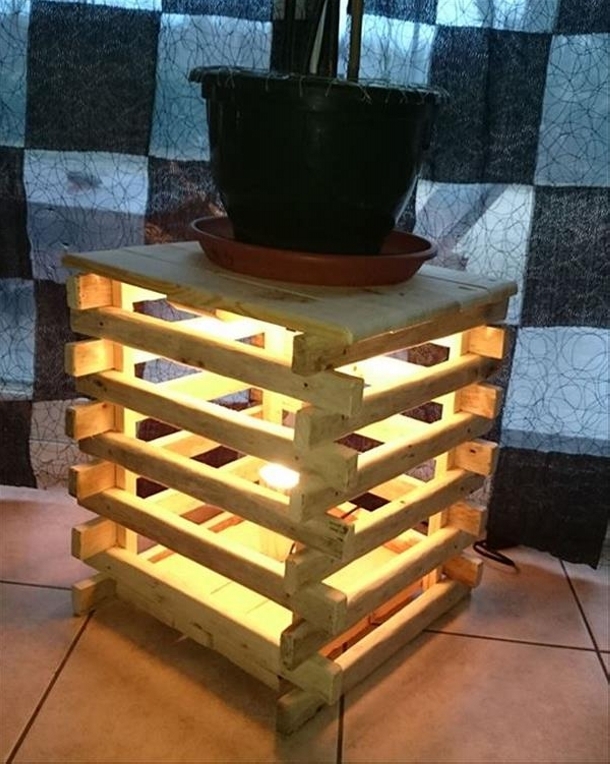 This is a small wood pallet repurposed light box, and inside it we have installed an Edison bulb which was later covered with a glass or mason jar just to control the supply of light waves. 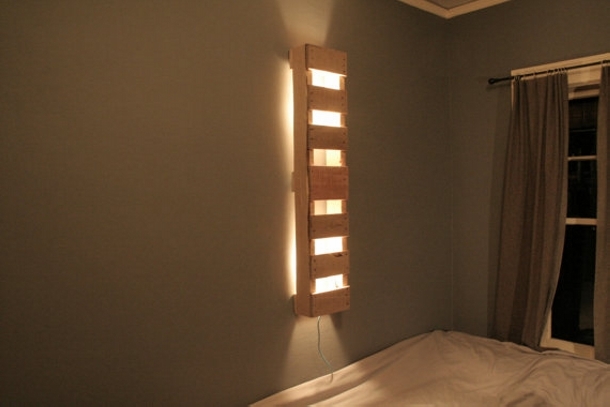 And the final one is a simple pallet wood recycled light box. 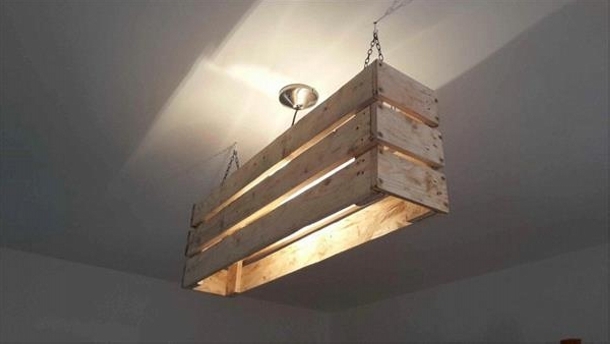 This is probably the simplest wood pallet creation that we have made so far, this would allow a controlled flow of light inside your house which wouldn’t bother your sleep at all. 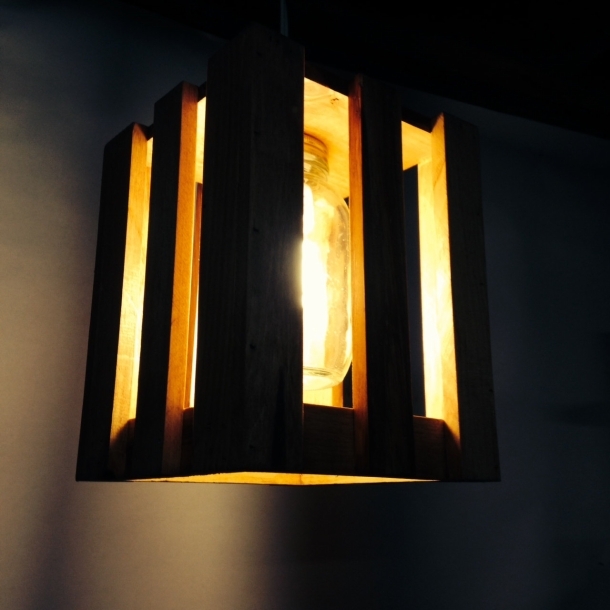 The pallet wood light boxes are totally different from typical lighting installations.